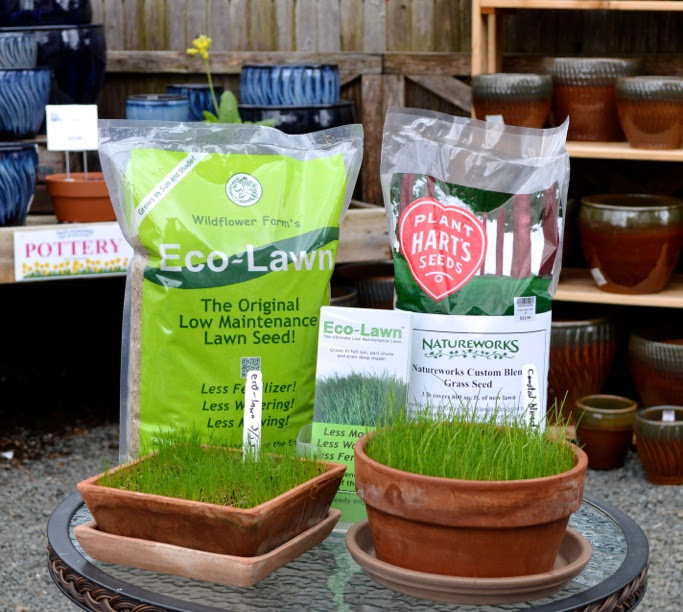 At Natureworks, our goal is building healthy soil and creating a healthy ecosystem that will encourage lawn grass and discourage weeds. Healthy turf grass in healthy soil will crowd out other plants, out-competing them for nutrients, light, and water. And most importantly, you, your children and your pets will not be harmed by chemicals in your own yard. We have a wonderful organic lawn care program and are here to answer any questions you may have! Let the lawn season begin! First and foremost, if you have not recently had a soil test in the past few seasons, we encourage you get one. They are easy to do and the information it will tell you is quite valuable. Be sure to ask for organic recommendations when you send your soil. If you do take a soil test, bring us the results and we will use the information to help you have the best lawn. The pH of your soil is most important. If the pH is at a good level-any fertilizer you add to the lawn will be well used and you will be happy with the results. If the pH is off, any fertilizer you add may not be able to be used by the lawn-it will just sit there and not help the lawn and you will waste your time and money. We would be happy to look over the results of your soil test and help you interpret the results-just bring it in! 2015 was a long, cold spring. The snow took its time melting away and lawns everywhere looked terrible. If you are patient and just watch, an organic lawn greens up after the temperatures rise a bit and the spring rain returns. In April, lightly rake any winter debris off your lawn. Some leaves and dead appearing grass patches can be left alone. Note any problem areas-do not panic, just observe. If your lawn is compacted, rent an aerator and aerate the lawn. This gets oxygen down to the soil and helps water and fertilizer to penetrate deeper into the root systems. If your lawn is very wet and mushy still, do not walk on those areas because it will compact the soil. Let them dry out naturally. The first step is to apply lime if needed. Apply one of the two types of lime, calcitic or dolomitic (to be determined by the soil) to the lawn to help adjust the pH of the soil. The proper pH for a lawn is 6.5. If your soil test shows a pH of about 6.5, lime is not needed. Cheep Cheep is a complete, all natural biologically active organic fertilizer made from dehydrated poultry litter. It provides essential primary plant nutrients, secondary nutrients and trace elements in a less water soluble slow-release form. IT WILL NOT BURN. It is safe for the environment when used at recommended rates. OMRI certified. Natural No-Phos is a natural fertilizer that contains no phosphates. Use this when your soil test indicates you have sufficient phosphorus in you soil. It is made from natural sulfate of potash, natural nitrate of soda, feather meal and peanut meal. Use this product if your soil test indicates you have high phosphorus. Note that lawns need phosphorus to thrive and natural phosphates do not pose a runoff concern like chemical phosphates. A premium all purpose fertilizer that is a high nutrient blend of natural ingredients that builds thick and invasive root systems and healthy soils which naturally crowd out many weeds, while cultivating beneficial microorganisms that can decompose thatch and control harmful insects and diseases. OMRI certified. OR if your lawn is plagued with crabgrass, apply granular North Country Organics 9-0-0 Corn Gluten as both a fertilizer AND a weed seed germination preventer. Apply corn gluten to suppress crabgrass from germinating in April from the time forsythia starts blooming to the time the lilacs start to bloom. Corn Gluten does not kill established weeds, but it kills the emerging seedlings that appear when the soil temperatures reach about 55 degrees. Do not apply corn gluten if you are seeding the lawn-it will prevent it from germinating too! What else may you need this spring? If you have thin or bare patches, lightly scratch up the soil, add a 1/2″ layer of topsoil and seed those areas. Lightly cover with Lucerne Farms chopped straw. Get the lawn growing nice and thick and healthy and weeds will be unable to take over! Stop by to discuss your needs-we are here to help! Hope you can join us for our Earth Day Celebration this weekend!